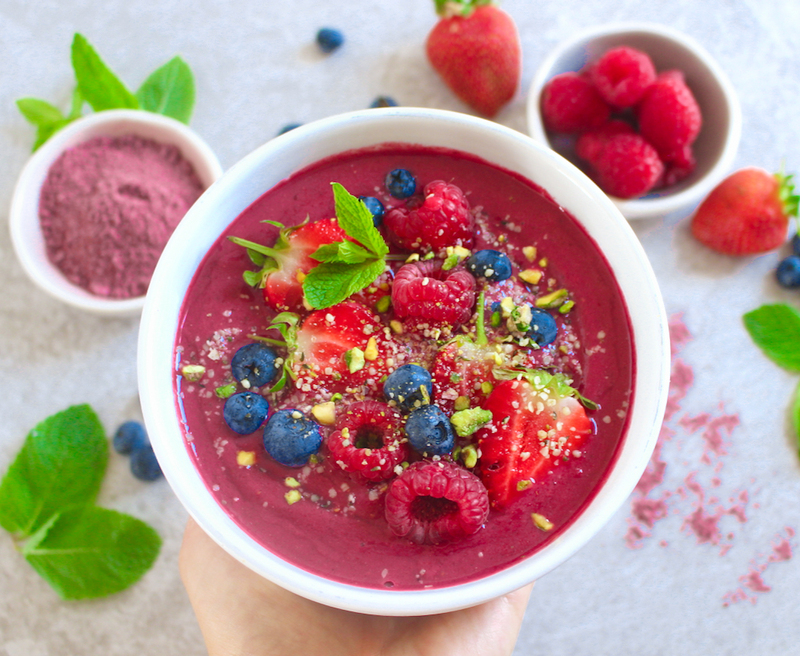 This heatwave we've been having in the UK has got be craving all the refreshing smoothies and sweet smoothie bowls. They're undoubtedly the best breakfast, snack or dessert on a hot day! I'm loving berry smoothie bowls the most at the moment that are jam-packed with anti-oxidants, a combination of fruity goodness and the most incredible colour. 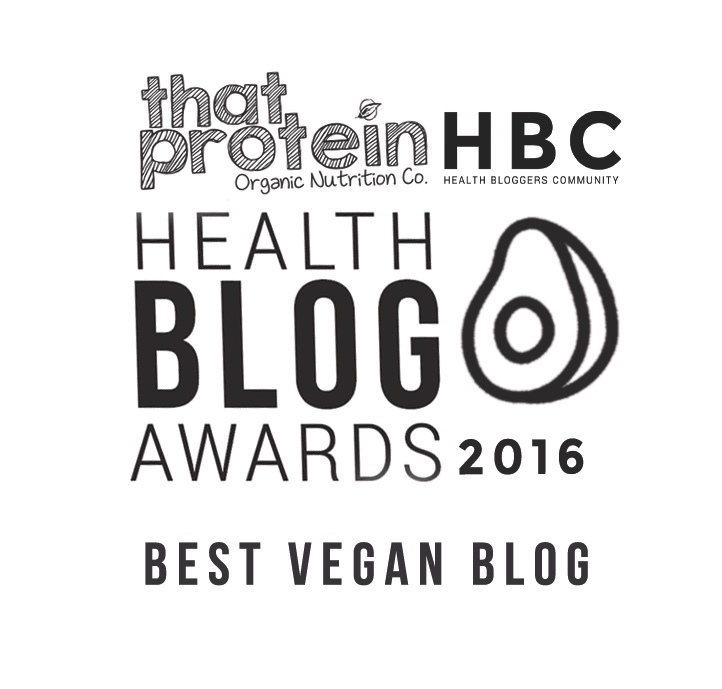 I also love to add a mixture of superfoods to my smoothie bowls for extra nutrients and flavour! I've been using superfoods from Indigo Herbs the most at the moment, they just have the best array of products to choose from and this recipe I'm sharing today features a few of my firm favours....including a very special product that helps create this amazing bright pink colour. 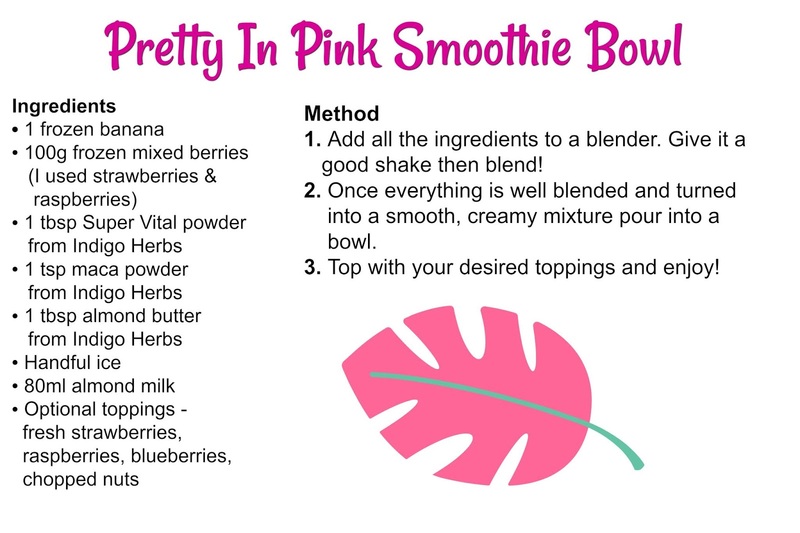 The base of this smoothie bowl is made with your classic frozen banana for super thickness and creaminess as well as a mixture of frozen berries. I used frozen strawberries and raspberries but really you could use anything you want - perhaps blueberries, cherries, pomegranate, blackberries! Now onto the best part - the superfood powders! Now, superfoods definitely aren't essential for a healthy diet but they can help you add a boost of nutrients into your diet as well create a delicious taste. 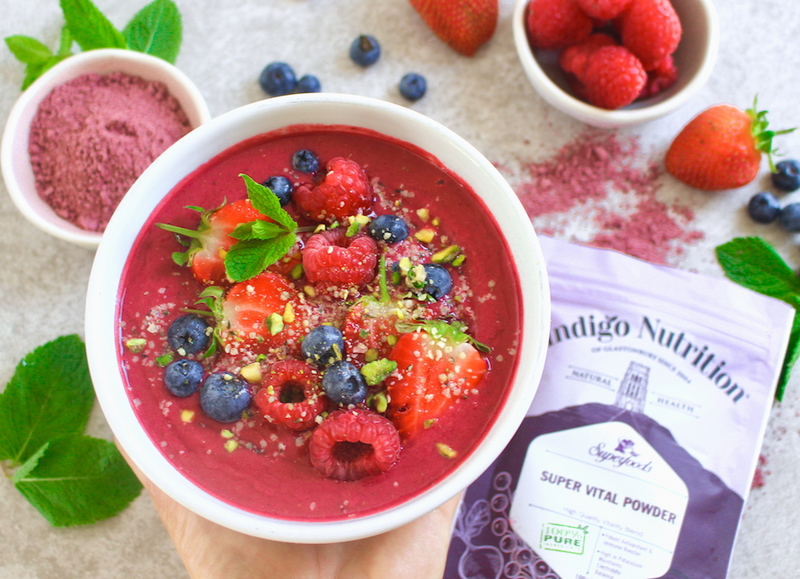 My new favourite product to add to smoothies is the Super Vital powder from Indigo Herbs which is the secret to this incredible colour. The Super Vital powder is a mixture of beetroot, baobab and acai which means it's brimming with antioxidants, it's high in vitamin C to promote a healthy immune system as well as potassium and vitamin E....it also tastes delicious, which is of course the main thing. I added organic maca powder from Indigo Herbs to this smoothie bowl too which is one of my all-time favourite health products. 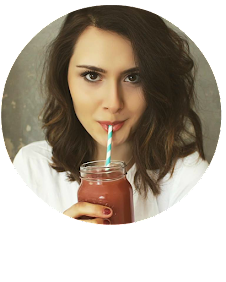 Not only does it taste like malty caramel but it helps to promote healthy, happy balanced hormones - which is super important for someone like me with PCOS.